Over the course of 40 years, Alice Waters has created and passionately supported a culinary philosophy that maintains that food should be organic, sustainable and locally sourced. Opening her restaurant Chez Panisse in Berkeley in 1971, which has ranked among the “World’s 50 Best Restaurants” for the last four decades, her commitment to finding the highest-quality, seasonal ingredients has created a network of local farmers and purveyors dedicated to sustainable agriculture. Her focus on education further led to the creation of the Edible Schoolyard Project in 1996, which is committed to transforming public education and supports projects that incorporate gardening and preparing healthy meals into the school curriculum. Waters’ influence is extensive: she is vice president of Slow Food International, a nonprofit organization that promotes and celebrates local artisanal food traditions and has more than 100,000 members in over 130 countries. Her other numerous honors include being co-recipient, with Kofi Annan, of the Global Environmental Citizen Award from Harvard Medical School in 2008, and being named to the French Legion of Honor in 2009. Her speaking engagements include, among others, lecture series and university talks related to food ethics and values, just and sustainable agriculture, and the transformative power of growing, cooking, and sharing food. 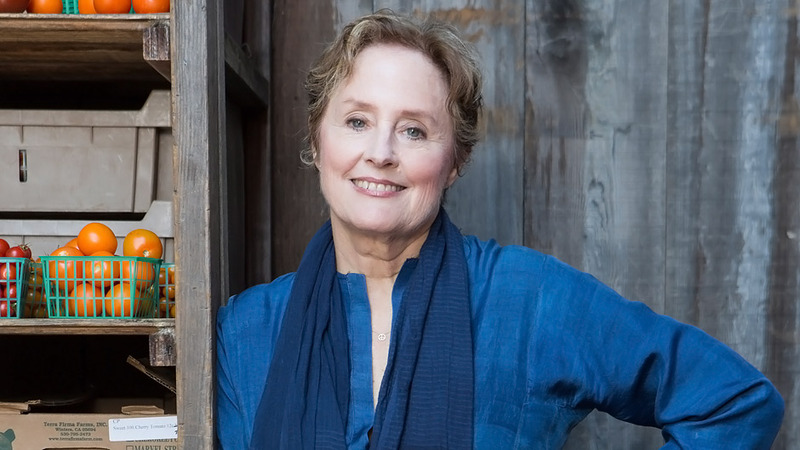 Alice Waters is the author of ten books, including The Art of Simple Food: Notes and Recipes from a Delicious Revolution, In the Green Kitchen, 40 Years of Chez Panisse: The Power of Gathering, and her most recent book, The Art of Simple Food II: Recipes, Flavor, and Inspiration from the New Kitchen Garden. Since opening its doors in Berkeley in 1971, Chez Panisse has been considered a pioneer of the farm to table movement. Inspiring American cuisine for over four decades, Chez Panisse maintains its same dedication to sourcing only the best local, seasonal ingredients in determining its menus. In this speech, Alice reflects upon her inspiration in starting the restaurant—a desire to recreate the food and culture she experienced while studying in France—and shares her personal stories about the beginnings of what would become one of America’s most notable and admired restaurants. A speech for parents, educators, and community leaders interested in introducing the edible schoolyard curriculum into the classroom, Alice discusses the importance of edible education in empowering students with the knowledge and values to make food choices that are healthy for them, their communities, and the environment.